Many homeowners look for a fun and comfortable place to entertain guests. One such place is their deck. It’s an extremely versatile part of your home and offers so many fun ways to spend your time. With these 11 cool deck ideas, you’ll have the ultimate hangout spot right outside your home. What do we mean by versatile? On the surface, your deck is just an extension of your home that may or may not be furnished. However, when you look beyond that and start exploring some more interesting deck ideas, you’ll see its true potential. We’ll help you unlock that potential with our favorite 11 deck ideas. By simply implementing a couple of these ideas, you’ll be the host with the most and you’ll have the best hangout spot on the block. 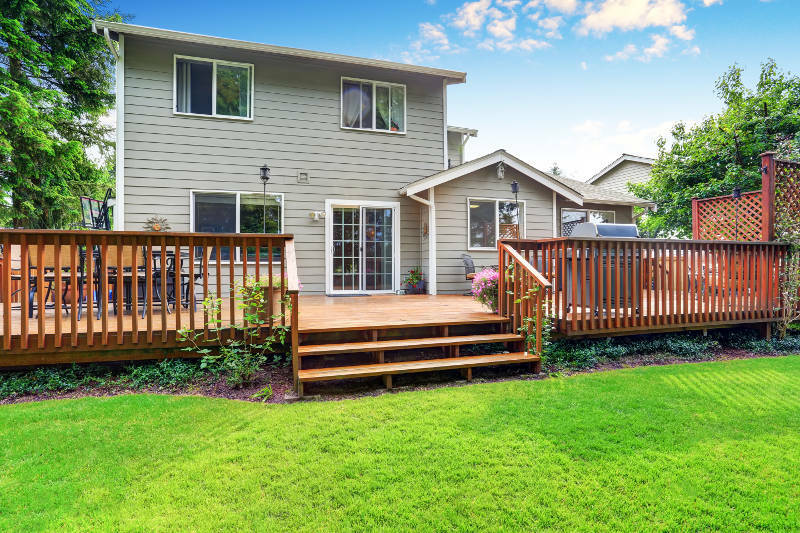 Decks are usually found in your backyard attached to a family room or kitchen. You can have a lot of fun with a simple single layered, flat deck but think of the possibilities if you had a multilayered deck. If you live on a slope or are willing to build up your deck, you can create a visual masterpiece with a deck that has multiple layers. Small sets of stairs separate each section allowing you to have a large and diverse style deck. One section of your deck could be used for bonfires while another could have comfy furniture and be more for relaxation. You can also have more people enjoying your deck at once. It’s perfect for parties, graduations or birthdays. The sky’s the limit. Speaking of bonfires, everyone loves having their own fire pit. Nothing beats sitting outside on a cool summer evening in front of a roaring fire with a group of your closest friends. Imagine how cool it would be if your fire pit was in the middle of your deck. This is something that’s actually possible. You can have a stone fire pit built in the middle of your deck. You’ll be able to put comfortable chairs around it and enjoy and evening of chatting and s’mores. Sounds like a good time! Now we’re getting into some crazy cool deck ideas. You could put a fire pit in the center of your deck, or you can have a jacuzzi or pool. You’ll be able to relax after a long evening in your jacuzzi, swim laps for excellent exercise or just have people over and enjoy your fancy new deck. This is a great idea for multilayered decks as well. If your pool or jacuzzi is on the bottom level, it can be in-ground or the deck can surround an above ground pool. A jacuzzi can even sit right on top of your deck like a normal piece of furniture. Nothing beats having a large patio door on your deck. It opens up so many options for you on both the inside and outside of your home. If you want to enjoy the outside while still watching a sporting event or TV show, just sit on your deck and watch through your patio door. Sliding patio doors are a great option in particular because they’re very easy to open and consist of a large piece of glass which allows more light into your home. If you need a sliding patio door in the Green Bay area, look no further than Feldco. Get a free quote now and see why over 350,000 homeowners have trusted us. Did you know that you could have an entire kitchen on your deck? It’s true! From a large grill with counters to a large table and chairs, you can have a second kitchen on the outside of your home. It’s a great place to have lunch or dinner with friends and family. If you want to take your outdoor kitchen to the next level, you should consider having an outdoor bar. There are many outdoor bars available at furniture or large department stores. You can also get really cool bar stools to match your outdoor bar. There are even barstools with the logo of your favorite sports team. It’s the perfect touch to add a bit of personal flair. There are also several ways you can theme your deck bar. There are tiki bars or sports bars that may fit your personality way more than just a generic bar. You want to make an area that’s fun for you to hangout in. A pizza oven is a great addition to any outdoor kitchen. You’ll be able to make tasty Neapolitan pizzas in minutes. Your guests will absolutely love this addition to your deck. Your furniture can make or break your deck and should be chosen very carefully. There are many different styles of furniture you can pick from which we’ll go over below. One of the most popular outdoor furniture styles is wicker furniture. It has a beautiful aesthetic and, when they come with cushions, can be very comfortable. However, you’ll need to put the cushions away when there’s going to be a storm. Metal furniture is a little more durable and comes with comfortable cushions as well. That being said, it isn’t as beautiful as wicker furniture and may cost more money. If you’re looking for more cost effective deck furniture, you should consider plastic furniture. It doesn’t look as nice or isn’t as comfortable, but it’s cheap and it won’t get damaged by rain or snow. Which ever style you choose, there’s no wrong answer. 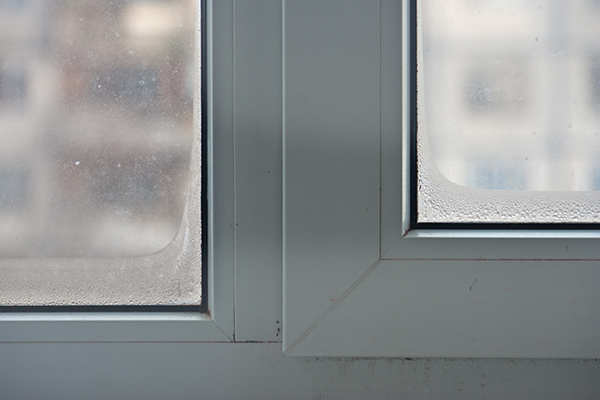 Much like patio doors, large windows can be a great addition to your patio. They’ll help add beauty to the exterior of your home which will also help make your deck look great. Plus, they’ll help incorporate the inside of your house with your deck just like the patio door. It’s a great way to make everyone feel like they’re together even if some people are inside and others are outside. 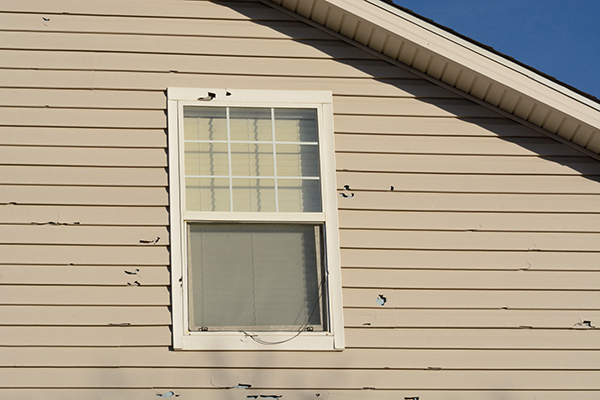 There are also many benefits to getting large windows inside your home as well. 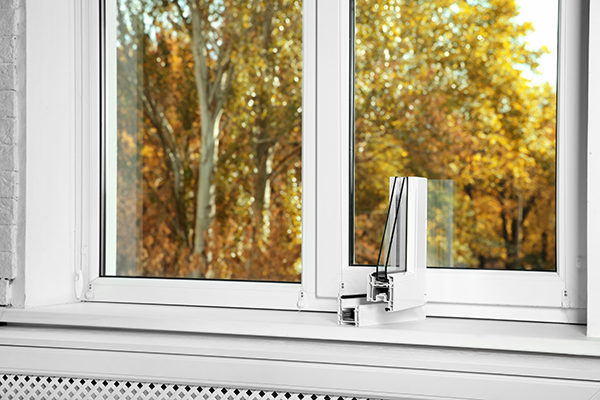 If they’re operable windows, you’ll have better control of your home’s air circulation. You’ll also allow more natural light into your home and make the room feel larger. One of the more extravagant deck ideas is to get an outdoor fireplace. An outdoor fireplace will look absolutely stunning and be a conversation piece for everyone who comes over. Think about it, who do you know with an outdoor fireplace? They do more than look pretty and get people talking. They will also warm you up which is especially important during the fall and spring. 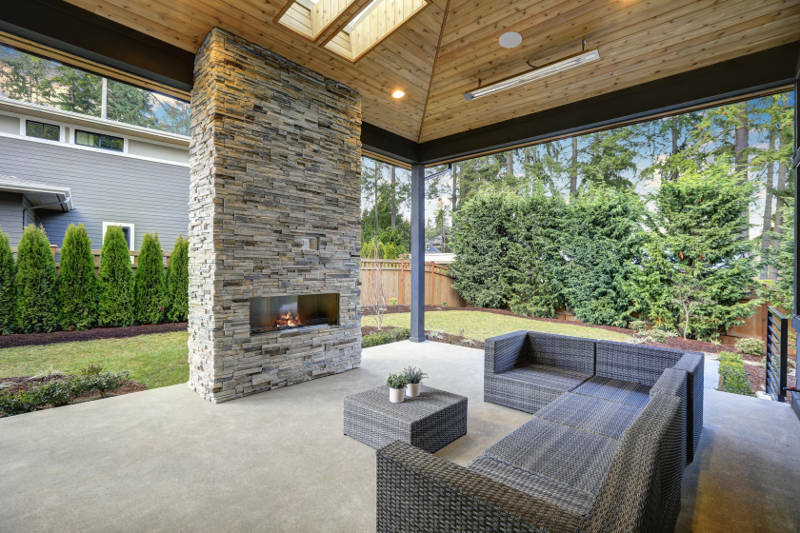 You’ll be able to enjoy your deck for a longer period of time without worrying about the weather because your fireplace will keep you warm. You can also treat your fireplace like a fire pit. Whether it’s roasting weenies, making s’mores or just keeping warm, you can do it with your outdoor fireplace. Plants and flowers are one of the easier deck ideas to help improve its overall look. The addition of colors and plant life will give your deck an earthy and comfortable feeling. They’ll also help make the area smell great. There are many ways you can display your flowers and plants. The easiest way is with freestanding pots and vases around the deck. You can also plant large plants around the perimeter of your deck. If your deck has an awning, you can get creative by hanging plants from the top of it. This gives your deck a unique and stylish look you wouldn’t get if you left your plants on the ground. 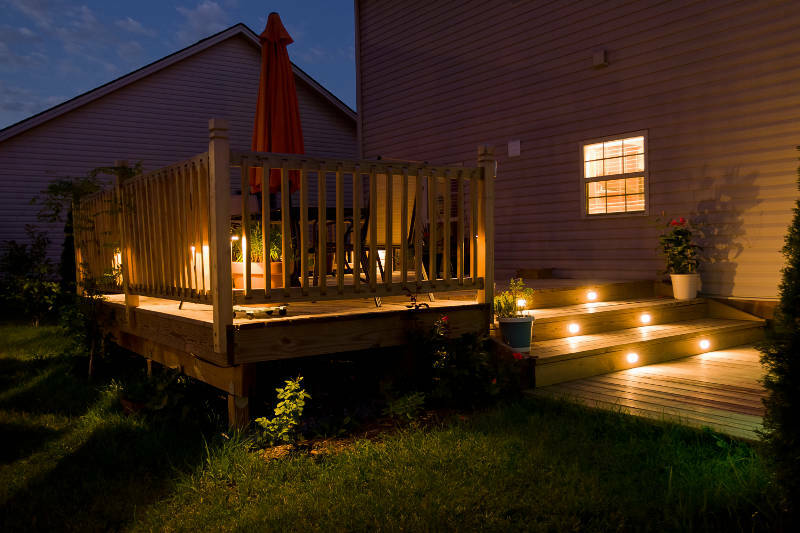 A well lit deck is essential for so many reasons – the most obvious being safety. If you can’t see, there’s a high probability that you’ll trip, fall and get hurt. Making sure you have working lights outside that shine across your entire deck is essential. Lights also help accentuate the finer details of your deck. A well placed spotlight will draw attention to features that guests might have missed otherwise. Playing with the color of the light will also change how certain parts of your deck are seen. Sometimes even the less noticed lights are great deck ideas. They’ll help you find the stairs without the fear of falling down and getting hurt. It’s almost essential to get stair lights for your deck. If you’re looking for something fun and festive, tiki torches are the perfect addition to your deck. They’re perfect for parties and will completely light your entire deck. One of the more forgotten deck ideas is having a fence around the entire deck. This helps separate it from the rest of your backyard and makes it feel almost like an extension of your home. Plus, a fence adds beauty and depth to your deck. You don’t know what you’re missing until you get one for yourself. These 11 deck ideas will help transform your deck into the ultimate hangout spot. Your friends and family will marvel at its beauty. It’ll be the most fun place to hang out in your entire home. If you liked the idea of large windows and a sliding patio door, get a free quote from Feldco. 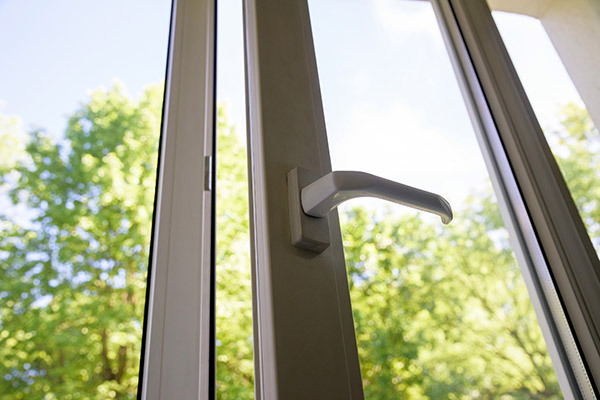 We’re Green Bay’s best window and door company because we’ve been proudly serving Midwest homeowners for over 40 years.